Home BCCI to ICC Snap ties with Pakistan: BCCI to ICC. Snap ties with Pakistan: BCCI to ICC. India, however, needs a broad consensus in the cricketing world to isolate Pakistan. According to the ICC constitution: A member may have its membership terminated if the Board of Directors considers that the member’s breach of its obligations as a member is sufficiently serious to warrant termination. 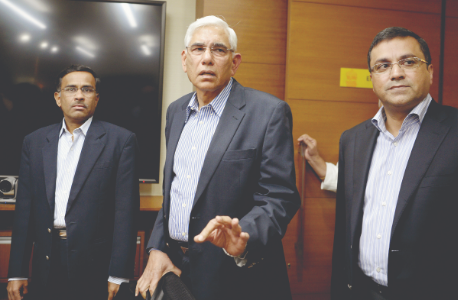 The BCCI decided to send the letter to the ICC after the Committee of Administrators met Friday. The letter spoke of voicing the cricket board’s concerns following the terror attack on Indian soil by a Pakistan-based terror outfit. This communication is being addressed to voice the BCCI’s concerns and sentiments that have emerged after the recent dastardly terrorist attack which was carried out on Indian soil by a terror outfit based out of Pakistan which resulted in the death of 44 Indian security personnel. In view of the aforesaid terrorist attack, BCCI fears for the safety and security of players and match officials participating in upcoming ICC events including the ICC Cricket World Cup 2019,BCCI CEO Rahul Johri wrote to the ICC’s independent chairman Shashank Manohar, chief executive David Richardson, the England and Wales Cricket Board (ECB) chairman Colin Graves and the 2019 ICC World Cup managing director Steve Elworthy. Mentioning the global diplomatic support that India received after the attack, the letter said: Most countries from which the members of the ICC hail (including the United Kingdom) have strongly condemned this terrorist attack and expressed solidarity with India. BCCI urges the cricketing community to sever ties with countries from which terrorism emanates. The BCCI also wishes to express its concerns over the safety and security of fans of Indian cricket at the upcoming ICC Cricket World Cup 2019. The BCCI trusts that the ICC and ECB will ensure that the most robust security is provided to players, match officials and fans of Indian cricket for the upcoming World Cup, it said.